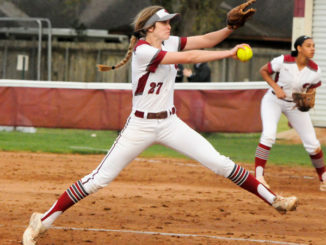 The Destrehan Lady Wildcats have been on fire for the last three months and look to continue demolishing opponents in the Class 5A playoffs. Destrehan hasn’t lost a basketball game since Nov. 25 and received a No. 6 playoff seed after winning the District 7-5A championship with a perfect 14-0 record. 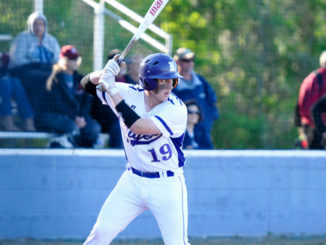 With a 27-1 record and on a 24-game winning streak including a sweep of the district, the team has been nearly perfect. Now they face their third playoff appearance in three years when they take on No. 27 Haughton this Friday. Destrehan head coach Angi Butler said her team has continued to improve over the season largely due to their ability to work together as a unit. With the playoffs just starting, Butler has been quick to remind her players that although they have had a remarkable season thus far it can all be over with just one bad game. “I have explained to the girls that it’s playoffs. You lose, you’re out. Every team is in the playoffs for a reason and no one is to be taken for granted,” she said. The Lady Wildcats will face a test in the matchup against Haughton, whose 28-8 record does not reflect their real talent as many of their losses came when key players were injured. Butler said the Haughton players have physical advantages, such as height, as well as an aggressive playing style that may prove difficult for her team to handle. No matter what happens, Butler said she is very proud of the way her team has played thus far. Overall, Butler said the team is looking to overcome the past two seasons in which they were knocked out of the first round, but still emphasizes that they have to take it one game at a time. “Our ultimate goal is to get to the final four. We know we have the potential to make it to the state playoffs, we just have to stay focused and remain determined to play to our best ability each and every game,” she said. 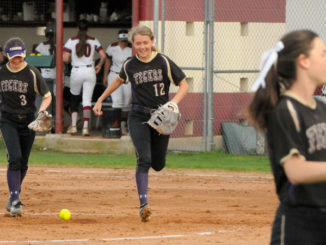 The Lady Wildcats will take on Haughton at 6 p.m. on Friday, Feb. 21 at R.K. Smith Middle School. See the playoff bracket on 2B for all playoff matchups.